While we might think of space as a vast and silent expanse, that’s not necessarily true. Space has plenty of noise, like these dense plasma sounds captured by Voyager 1 as it headed into interstellar space. Space also has musical stylings of Chris Hadfield. Now, Harvard astronomy professor Alicia Soderberg has found a way to turn a supernova into songs. Eat your heart out, Oasis. 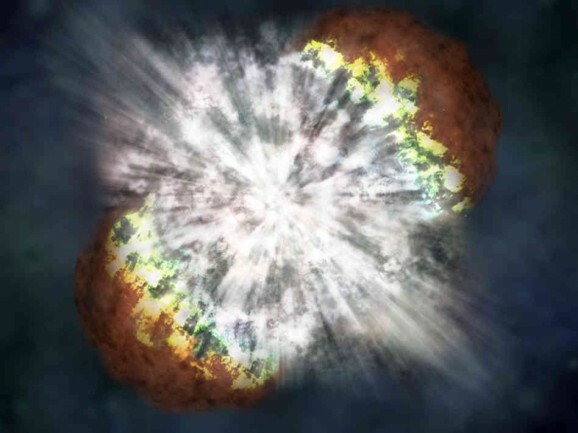 Soderberg specializes in a star’s last gasps, which are violent, dramatic explosions. It’s tough to capture one in real time, though, so she often conducts what’s called a stellar autopsy, examining the remnants of the event. She gathers up all the information she can find, including x-rays, light, and radio waves. Then she and her team set about analyzing and synthesizing the data, which is about as easy as trying to put all the pieces together of an explosion here on Earth. Soderberg’s approach shifted a few years ago after meeting a blind graduate student who studies astronomy via sound. It turns out that data from solar storms, planets, comets, stars, and meteors all vibrate at different frequencies. Where you have so many different sounds, you have an orchestra. Soderberg and her student took the data collected from stellar autopsies and turned them into songs. Each type of data corresponds with an instrument. For example, the drums represent the radio data and the harpsichord is the x-ray. The professor realized that by listening to the songs she is able to pick out aspects she doesn’t notice when looking at the data. 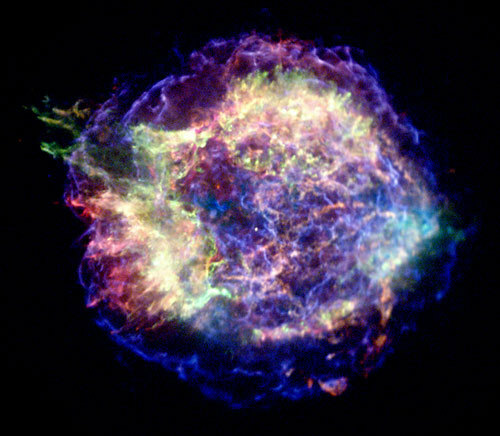 She also has learned that every supernova has a different sound, probably because no two star deaths are exactly alike. Stars can crash into one another or simply run out of gas. Some get overheated, some pulsate, and others spin before they burst. This week, the American Astronomical Society got to hear these songs for the first time. As more and more scientists listen to the aural arrangement of data from the cosmos, perhaps more will be inspired to orchestrate their findings in a similar way. In fact, I nominate the Curiosity Rover and its Mars findings for the next piece.